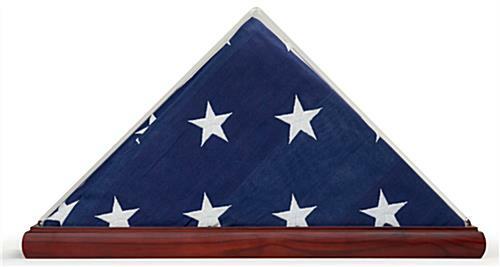 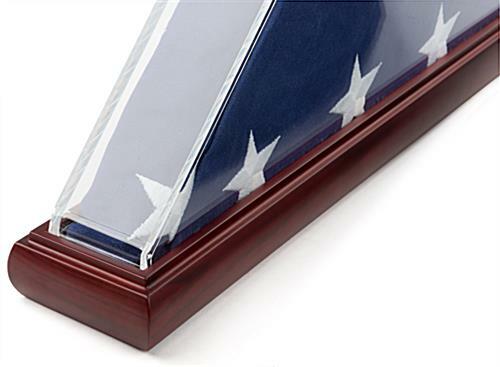 This clear acrylic display case for flag is a great way to show American pride. 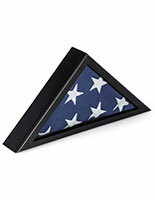 The shadow box holds 5’ x 8’ folded banners and is a great way to showcase military memorabilia or other keepsakes. 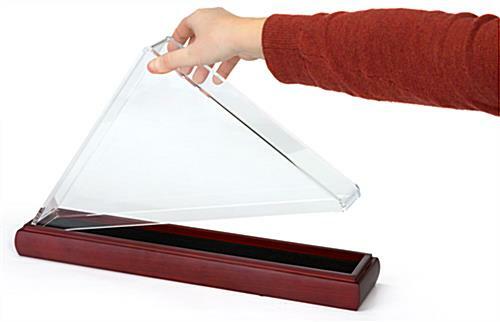 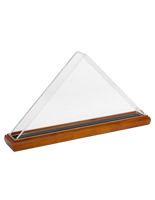 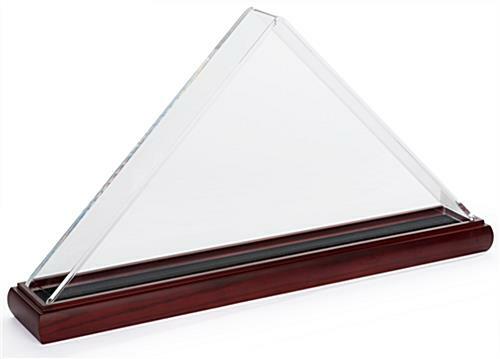 Complete with a rich red mahogany finish oak wood base, this triangular acrylic display case for flag is a striking addition to any home, business or office. 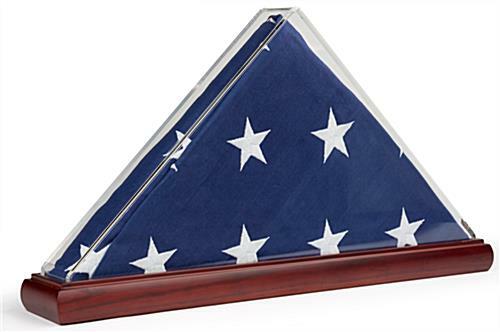 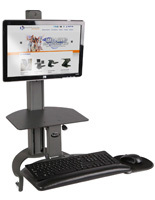 Show your American pride by showcasing military memorabilia. 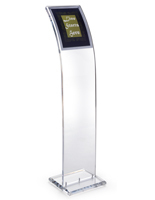 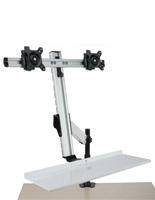 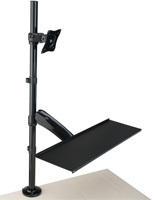 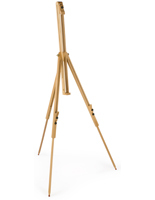 Assembly is simple, the triangular frame can be easily lifted from the mahogany finish base allowing you to insert your folded 5’ x 8’ banners. 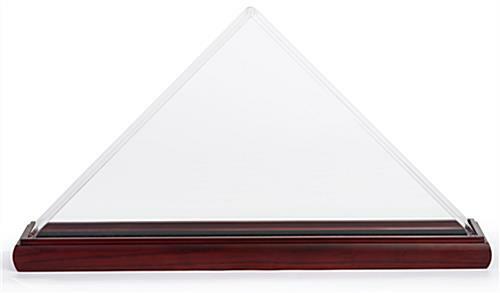 This display case for flag is designed for tabletop use.